Mocktails are cocktails minus the alcohol. They are a great mock of the cocktail recipes that are known for their unique mix of tastes. You sip and wonder what went into it. As these may include a wide range of ingredients such as fruits, vegetables, etc, they can be a nutritious option, and good to serve. Here is a quick and simple mocktail recipe with the prime ingredient being a jelly mix. It is extremely cooling and makes you ask for more! 1. In an ice tray distribute equally, the finely chopped apple, pineapple, mint leaves and strawberry crush. Pour water till the brim and allow this to set in the freezer. 2. 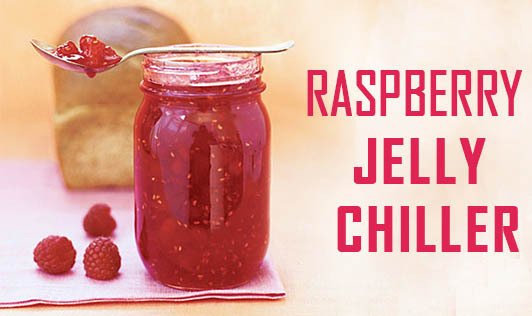 Prepare raspberry jelly following the instructions given of on the pack. Do not allow to set. 3. To the cooled unset jelly mix, add the apple juice, pineapple juice, lemon juice, and black salt. Stir well. 4. Add the flavoured ice cubes. Serve immediately.